Miracles happened over the many days of Kindergarten. 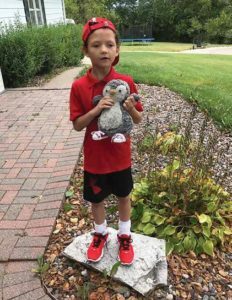 It included an extraordinary Little Boy, a Teacher and a Penguin and — not to forget a family, a school, and a whole community! Click photo to purchase. 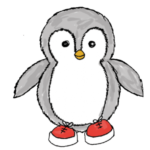 Furry – The Little Penguins That Could has been named among the best in family-friendly media, products, and services by the Mom’s Choice Awards® Gold Recipient. Miracles happened in a Little Town That Would, at the The Little School That Could when a little boy entered Kindergarten. The boy’s name is Mac. He is a real boy with many challenges, and hidden strengths. Mac’s class was called the Penguin Kindergarten and his teacher, Mrs. C was an incredible teacher with patience, perception, passion, play and persistence. Teacher loves children, stuffies, penguins, and science. Real miracles happened in a very small town in the USA, in a Kindergarten classroom for a little boy with special needs who found his voice, understanding and friendship. Teacher believes in possibilities. 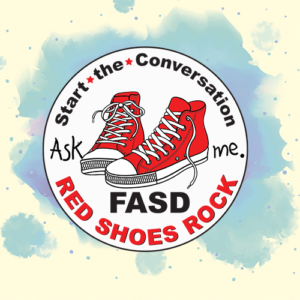 Mac lives with over 110 diagnoses and health issues including fetal alcohol syndrome (FAS), autism spectrum disorders (ASD), a chromosome duplication and a very rare genetic deletion (only 25 known cases). In other words, this little guy has a very medically complex life and needs to learn very differently. In addition, his eyes, ears and motor systems struggle to work when he wants them to. That means the more he tries the more he can’t. In Kindergarten, Teacher had an inspiration to use a little Stuffie penguin she named, Snack. The incredible, yet simple idea and their story, birthed something that needed to be shared with the whole world. 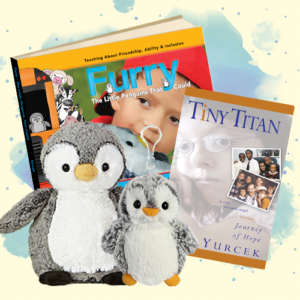 Mac’s mom, Ann Yurcek, the author of Furry: The Little Penguins That Could and her friend Jodee Kulp, the illustrator and executive director of Better Endings New Beginnings joined forces to create the book, Furry: The Little Penguins That Could and the curriculum. Furry – The Little Penguins That Could has been named among the best in family-friendly media, products, and services by the Mom’s Choice Awards® Gold Recipient. Furry teaches positive perception of all children to make endless possibilities for everyone. Furry: The Little Penguins That Could was written to teach about friendship, acceptance, and inclusion. By sharing Mac’s story and it’s accompanying curriculum with children through their schools, communities and families—perhaps, just perhaps the ripples will encourage acceptance and help prevent bullying. By teaching understanding, we hope to alleviate the loneliness and trauma children with differences face in their lives. The lack of friendship affects everything. Every child needs a friend and everyone matters. Today, as Mac shops with his mom or attends events in his community, kids greet Mac. Mac is accepted, simply for being Mac in his community. Mac’s normal is accepted as normal for Mac and his friends care and like Mac just how he is! Mrs. C lovingly reads the first chapter of Furry: The Little Penguins That Could. A new dynamic Read Together Read Aloud (Shared Reading) book fo children in schools and snuggled with their families and friends. Mac’s year in Kindergarten taught us many important things. Miracles do happen and a stuffed penguin can become a real Emotional Support Partner (ESP). However, in Furry’s case, he is Mac’s an Emotional Support Penguin.